But, interesting as one may at first find the cosmopolitan and progressive city of Alexandria, it is by no means thoroughly Egyptian, and should be regarded as merely a doorway to the real glories of the land of the Pharaohs. Hence, after a stay of a few days on the coast, one always hastens into the interior of the country. A bird's-eye view of Lower Egypt would reveal a vast expanse of cultivated territory in the form of a triangle, the base of which is on the Mediterranean. From its resemblance to the fourth letter of the Greek alphabet, this area has for ages been appropriately called the Delta. A poet has compared it to a beautiful green fan, with Cairo sparkling like a diamond in its handle. 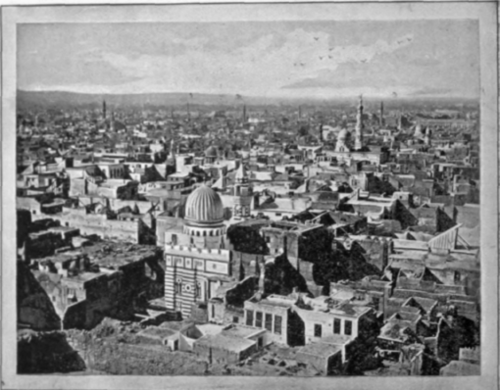 The simile is an apt one, for in the days of the Caliphs, a thousand years ago, Cairo was the brightest jewel of the Nile, - the rival of Bagdad and Damascus in the annals of the Arabian Nights; and even now, to one who comes to it directly from the Occident, its Oriental brilliancy is most impressive. 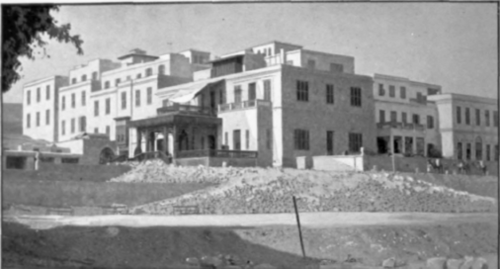 On my first visit to Egypt in the days of Ismail Pasha, there was practically only one Cairo. Now there are two, -the African and European, - contending, not for political supremacy, which has been definitely won by England, but for supremacy in architecture, dress, and manners. New Cairo has become a charming winter residence, but the old city of the Caliphs, as the traveler saw it only thirty years ago, is gone. 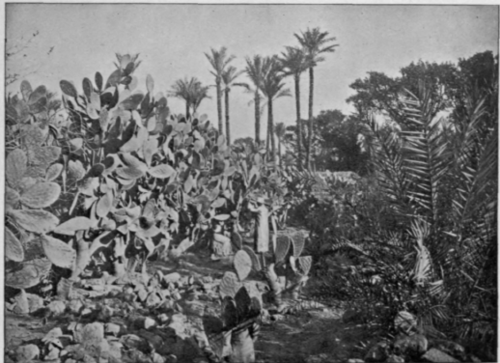 Red-coated British soldiers now swarm upon the citadel of Mehemet Ali; Egyptian troops wear European uniforms; the narrow, covered streets, which painters like Gerome so loved to reproduce, have largely given place to broad, unshadowed thoroughfares; and most of the exquisitely carved and inlaid balconies which formerly adorned the front of nearly every Cairene house, have disappeared. On the other hand, magnificent hotels have sprung into existence, and in the winter shelter crowds of foreign guests whose ancestors were savages for three thousand years after the completion of the Sphinx. One of these hotels has even dared to plant itself at the very base of the Great Pyramid! 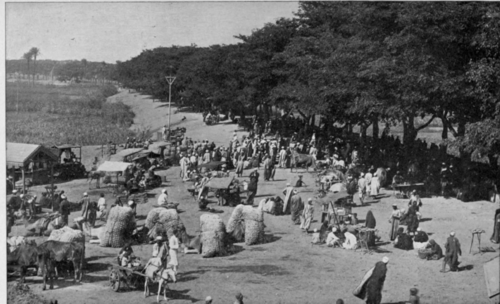 Cairo, modernized by the English, may be compared to a fashionable piece of western furniture placed on an eastern rug, or to a Bedouin of the desert wearing a silk hat and a Prince Albert coat. While the city has greatly gained in modern characteristics, as well as in sanitary conditions, it has lost much of its old picturesqueness. Nevertheless, within its ancient precincts there are still many streets of Moorish aspect, with mosques, bazaars, and Oriental dwellings, among which one seems to be a thousand miles removed from western civilization. But these attractive features of the past are undergoing radical transformation. During the reign of Ismail Pasha, the ratio between the East and West in Cairo left little to be desired, and the Egyptian capital then combined just enough modern luxuries and comforts to offset gracefully some less agreeable characteristics of the Orient. Thus, even as early as 1871, the Khedive had built a handsome Opera House in Cairo, and had offered the composer Verdi a munificent sum for an opera which should represent the glories of old Egypt. The result was that finest production of the modern Italian school, Aida, whose representation here on a scale of great magnificence, with Madame Parepa Rosa in the title role, is one of my most treasured memories of a winter on the Nile. Occasionally, in some old, narrow street, one may see, even now, what was a score of years ago a well-nigh universal architectural feature of the city, the Mashrebeeyeh, - a latticed window made of cedar wood, inlaid with mother-of-pearl. 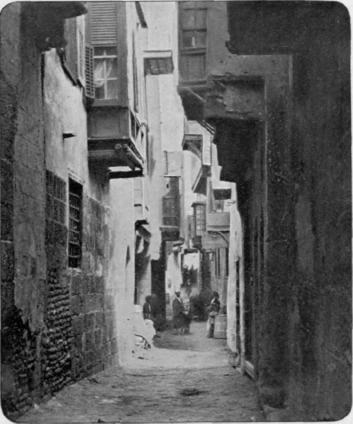 Such windows are admirably suited to the Orient, for they exclude both light and heat, and also screen the inmates from all observation, - an important consideration in Cairo, since in these narrow passageways, when once above the lower story, the houses rapidly approach each other till their projecting windows almost meet. If you glance up at these, you may perhaps perceive at one of the interstices the flash of a jewel, or the gleam of a bright eye, and hear a musical laugh, or the exclamation, "Giaour!" (Infidel). 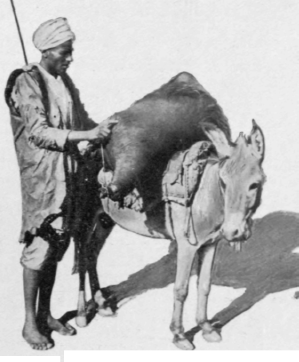 A stay of only a few hours in Cairo will convince the tourist that the typical animal of Egypt is the donkey. Of these there are said to be fifty thousand in Cairo alone. Most of them are of the color of Maltese cats, and all are closely clipped, and have their bodies fantastically painted, starred, or striped, until they look like miniature zebras. They are so small that the feet of their riders almost touch the ground. But they are swift-footed and easy, and riding on their backs is almost as comfortable as sitting in a rocking-chair. Why has the donkey never found a eulogist? The horse is universally admired. The Arab poet sings of the beauties of his camel.